It’s okay to indulge everyone else in awhile, especially on Wednesdays when you’re feeling like the week may never end. Plus I’m going to justify this one with the fact that it can be made with under 5 main ingredients. Give and take, folks. This recipe is from Giada de Laurentiis of the Food Network, and it. is. delicious. Cheesy with a hint of tomato, it’s comforting in the best way. 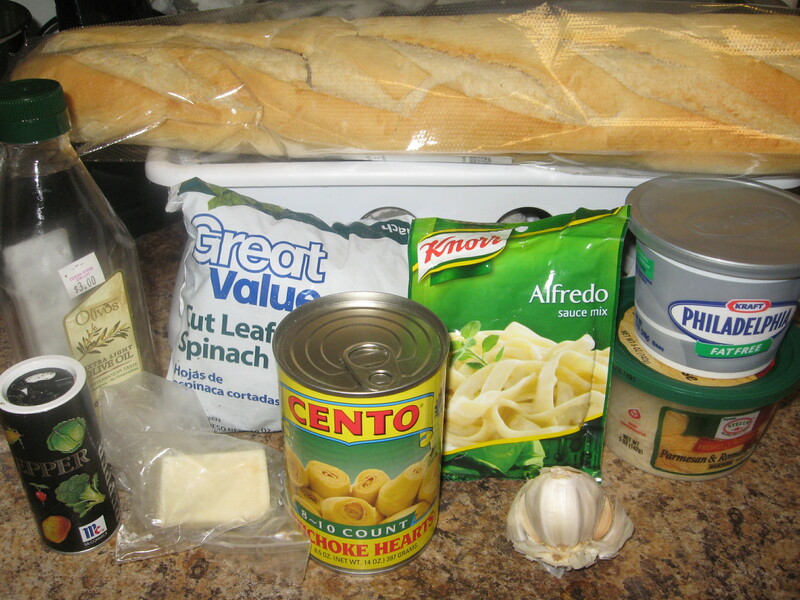 It’s super easy too, so although you may have to go grab a few ingredients, the short cook time makes up for it. 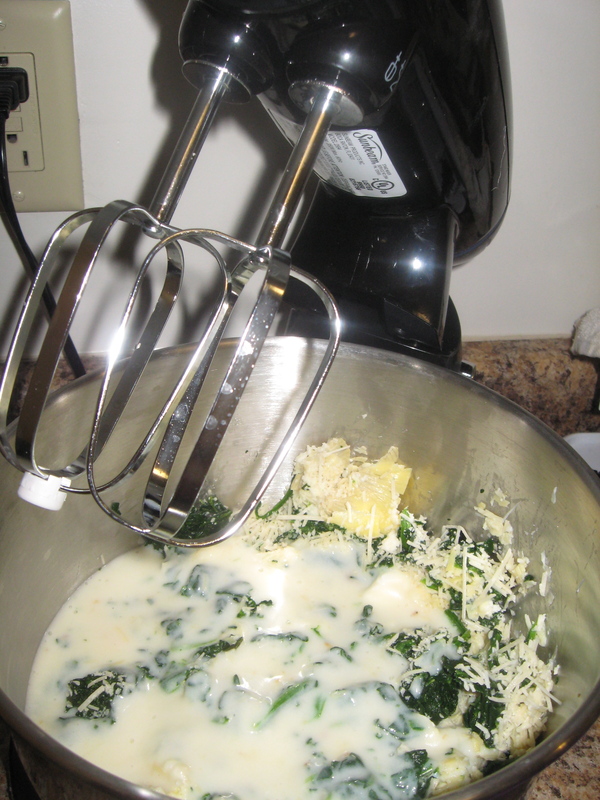 Add the cheeses and salt and pepper and stir everything together thoroughly. Serve while warm. The cheese definitely makes the dish heavier (but also tastier! 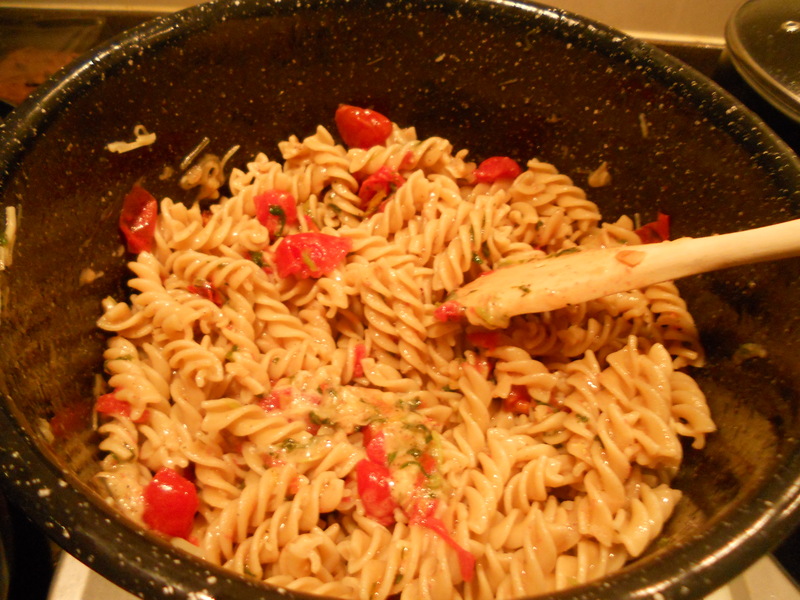 ), so if you want to cut back on the calories, skip the cheese and toss the pasta in olive oil. 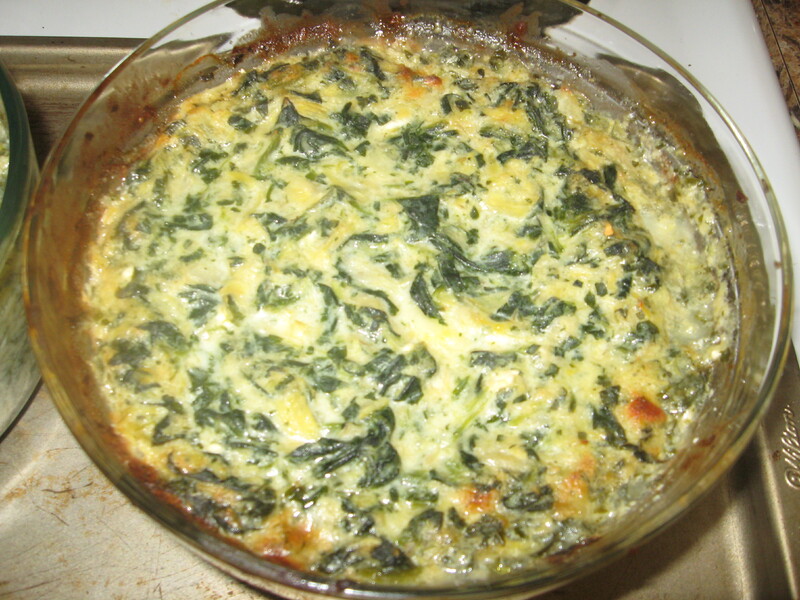 Don’t skip the garlic or tomatoes and spinach- they make the dish! 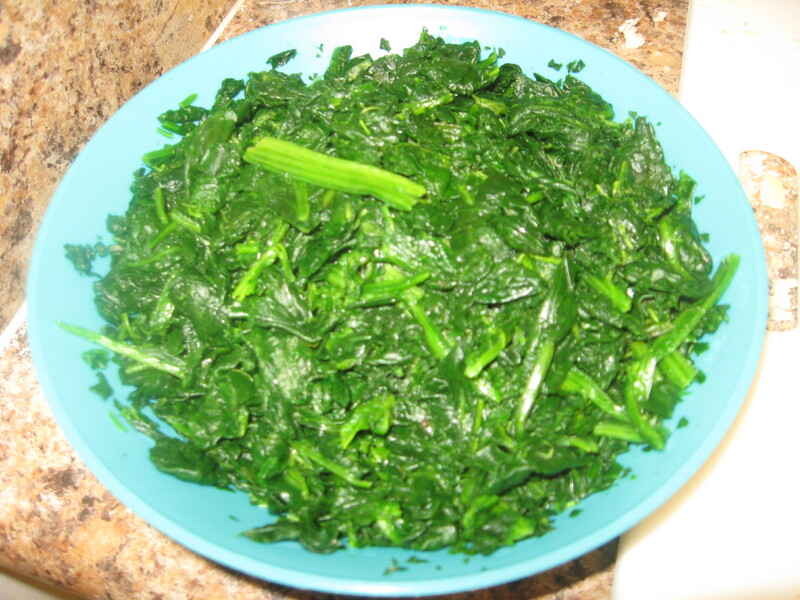 Spinach is one of the foods on our “brain list” this week. It’s packed with vitamins and long-term memory aids. Unfortunately for many people, this green tends to need a lot of help when it comes to the taste department. It’s really great in salad, and for a light spring dish, mix it with strawberries and the dressing I used over the fruit salad from yesterday’s post. 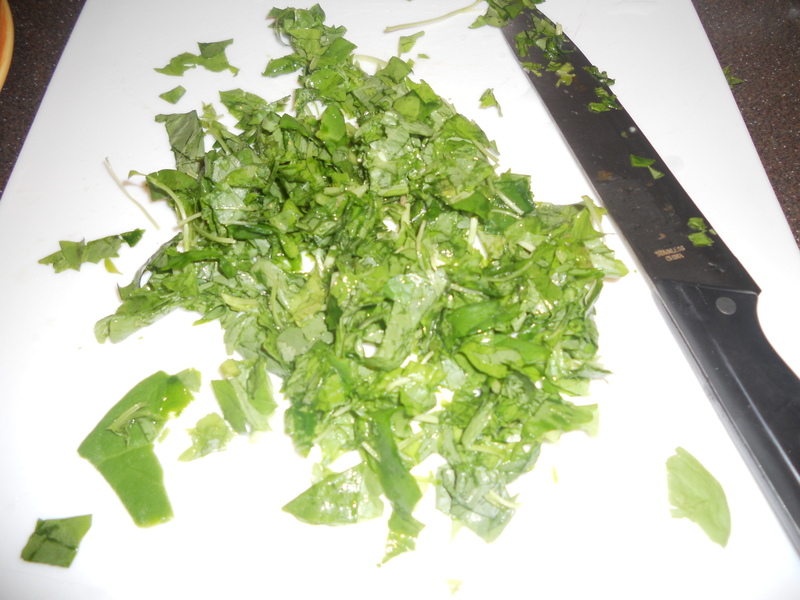 It also works easily in sandwiches or omelets. 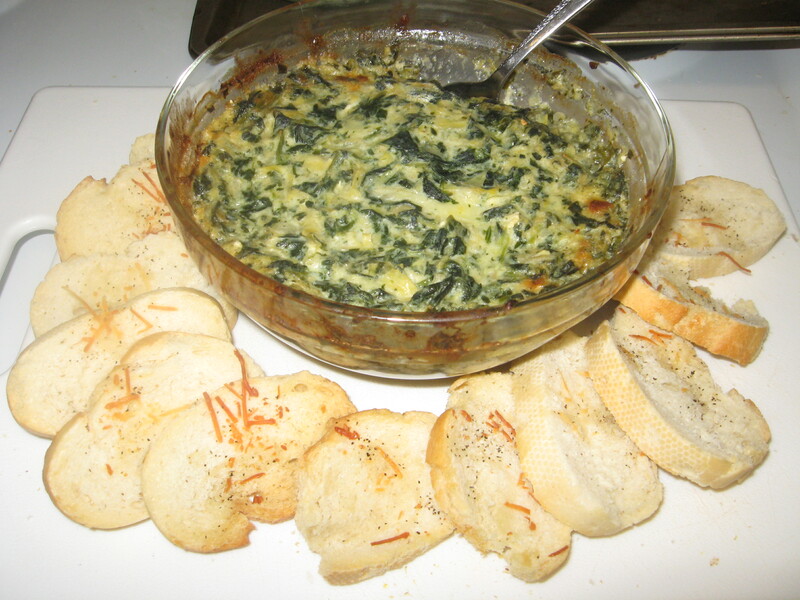 But if you’re looking for something a little more comforting than just a salad (go ahead, reward yourself for that all-nighter you pulled), try this hot spinach and artichoke dip. It’s cheesy and delicious, especially with bread or tortilla chips. 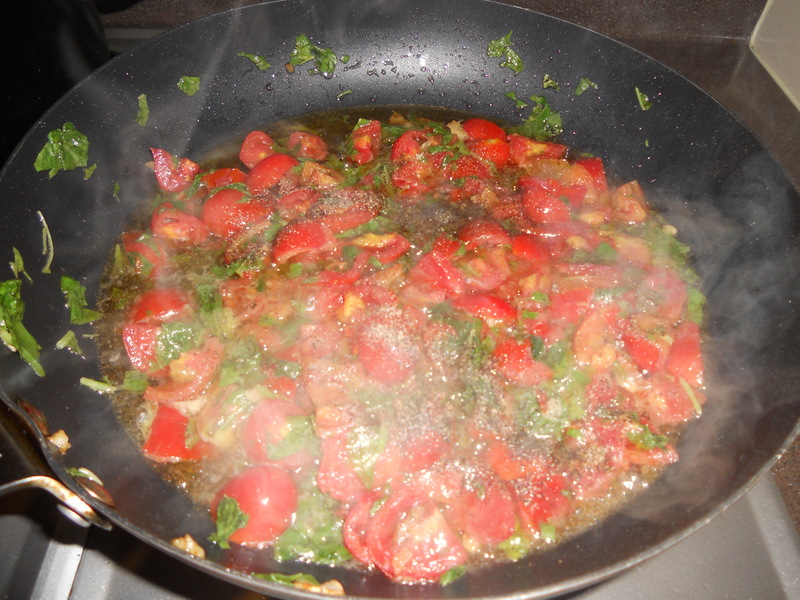 For a healthier option, try it with vegetables like red peppers strips. It’s easier than it looks, but it does take some time, so make it on a night you have a little free time to relax and de-stress. 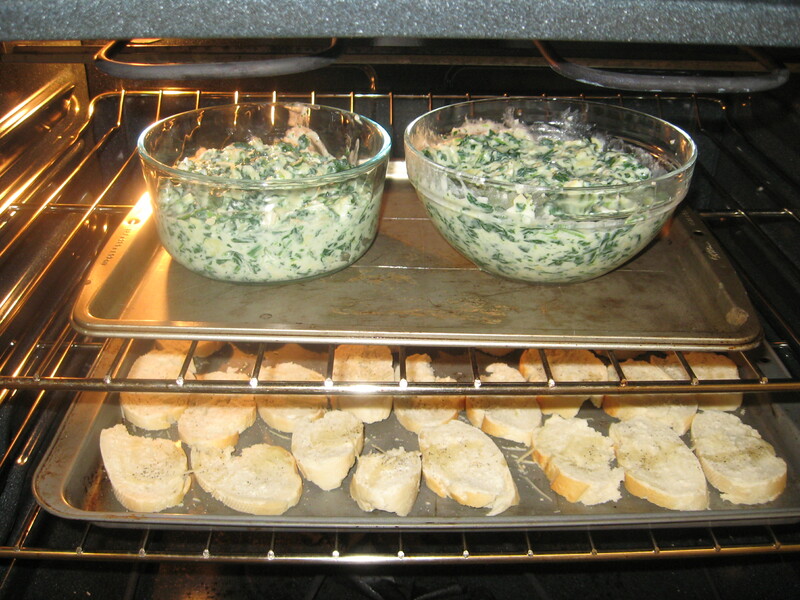 We used the recipe for Applebee’s version of the dip, which can be found on RecipeZaar. 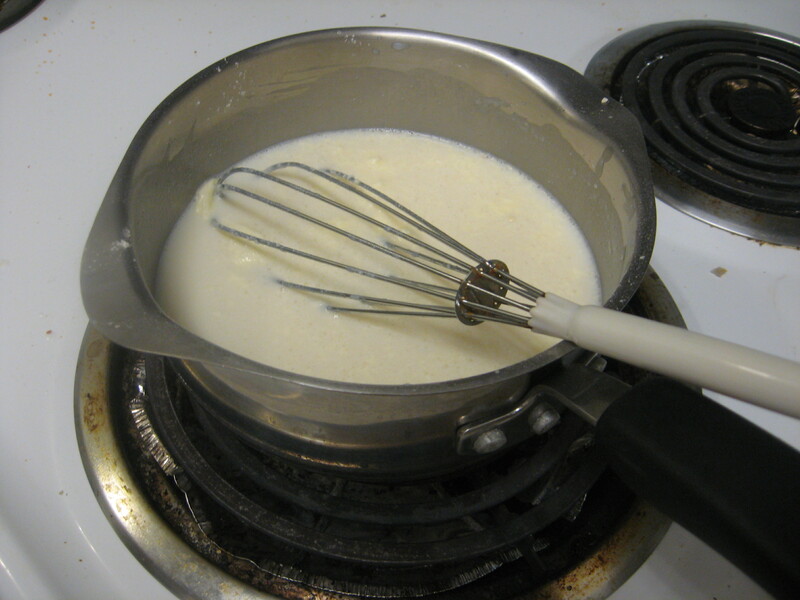 Prepare the alfredo sauce and make sure you keep a close eye on it so it doesn’t burn. 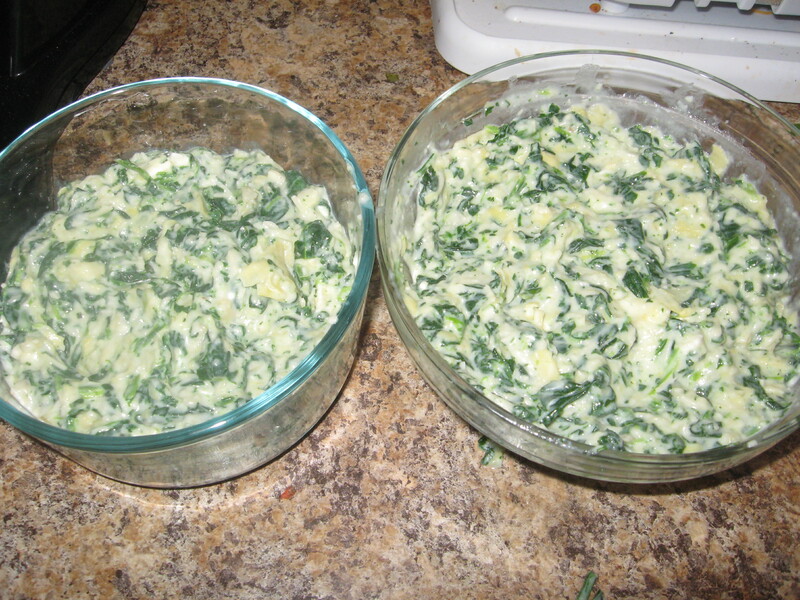 Thaw the frozen spinach using the defrost option in the microwave, unless it’s already thawed. Mince and chop the garlic, shred the cheese and soften the cream cheese. Chop the artichokes. 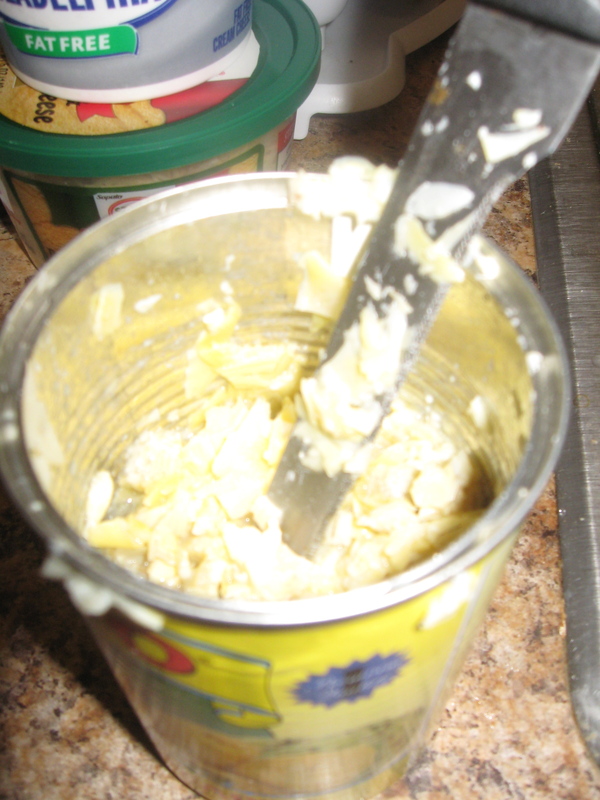 A good easy way to do this is rinse and drain them then put them back in the can and using a knife, mash them up in the can. 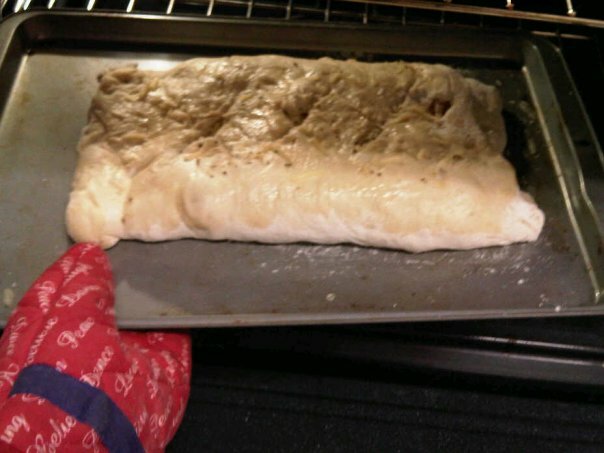 Once the ingredients are thoroughly combined, transfer the mixture to a baking pan. I used an oven-safe bowl which worked just as well, it’s up to you how you want to serve the dip. 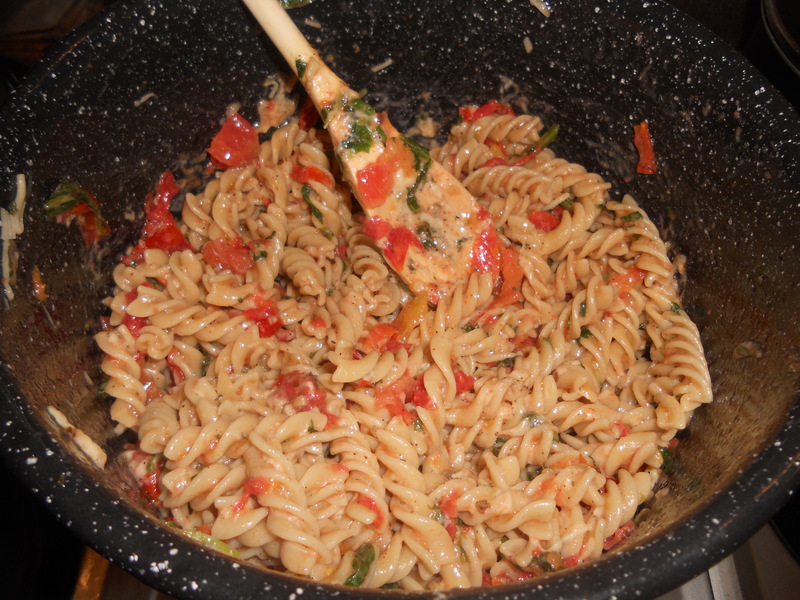 Sprinkle some of the remaining parmesan over the top of the mixture. Cook at 350 for 25-30 minutes, or until the cheese is crispy brown and melted. 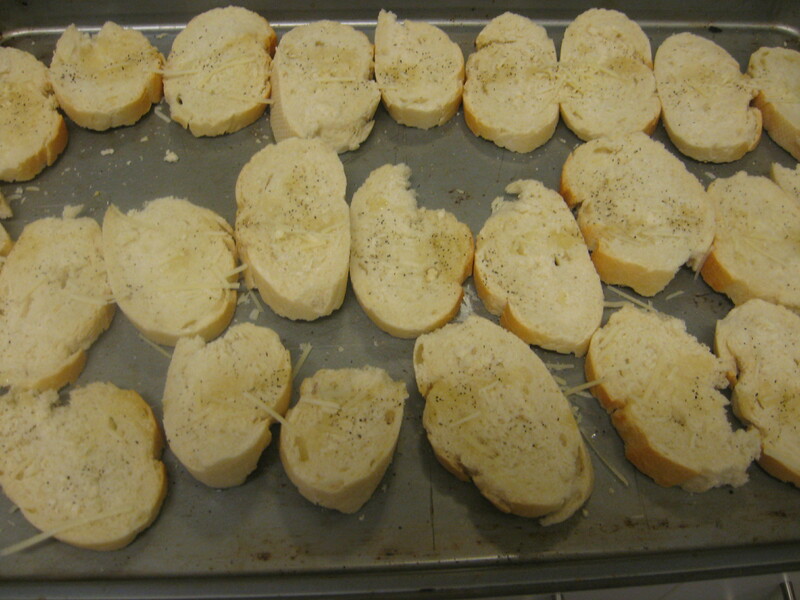 As soon as you put the dip into the oven, slice up the baguette (if that’s what you’re having it with), lightly drizzle each slice with olive oil and sprinkle black pepper and a little shredded parmesan over each. 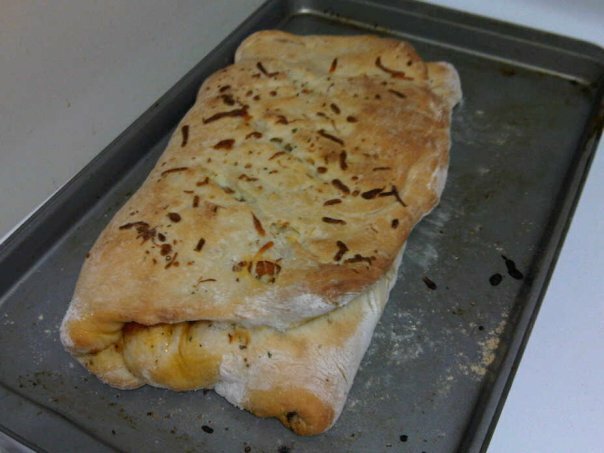 Put the bread into the same oven for about 12-15 minutes. It’s best if you time it so they’ll come out at the same time. Let both cool before serving. Trail mix! Nuts a great source of B-vitamins, which fight against stress. 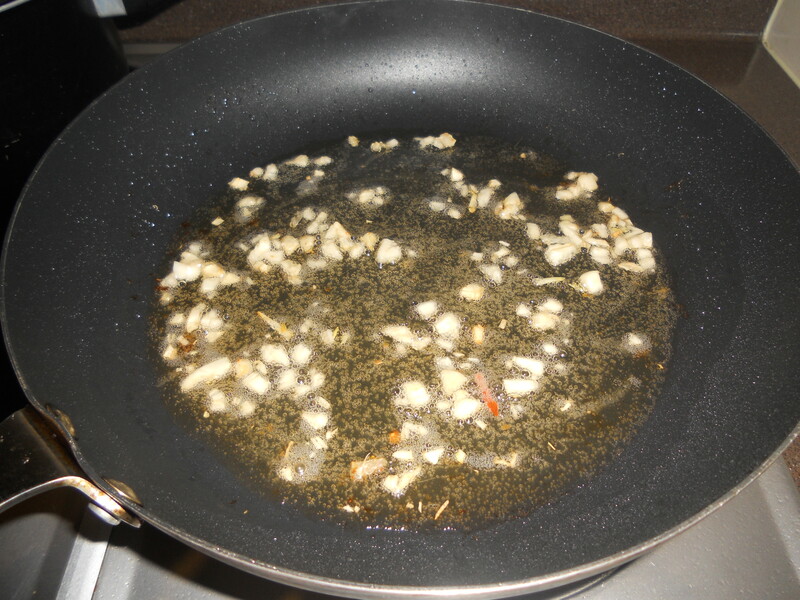 They’re pretty high in fat though (don’t worry healthy fat), so stick to smaller portions, about 1/4 cup or so. Almonds, pistachios and walnuts are all good for your immune system. Mix in some Honey Nut Cheerios (or another cereal) to mix it up and add a little sweetness. 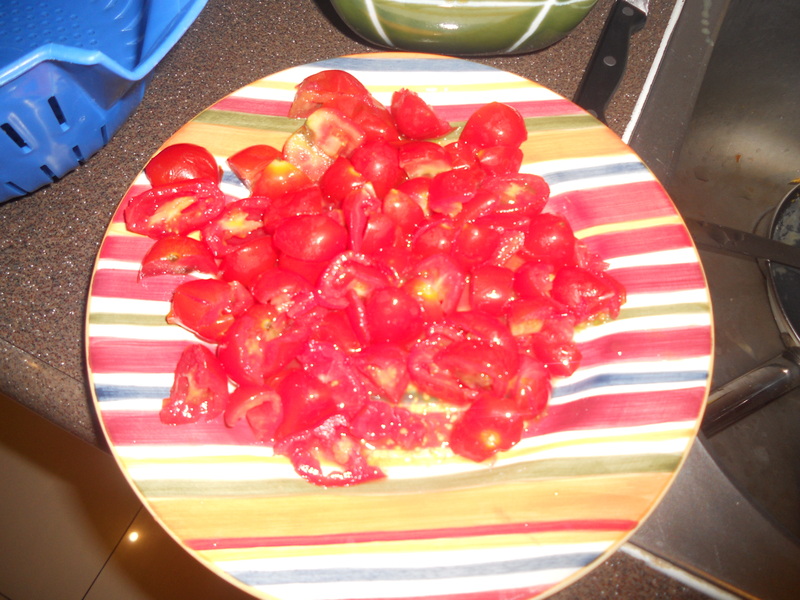 This is a great snack you can make a lot of and then throw in a bag to bring with you on the go. When a friend of mine suggested that we all had dinner together this weekend, I pictured my roommates and I slaving over the stove for a few hours and serving a delicious meal to the four boys that were planning on coming over on Friday night. You can imagine my shock when it was the boys who said THEY would be doing the cooking for the evening. My first thought was, you guys can cook?? Since when?? My roommates and I were a bit apprehensive (was it safe to eat whatever they planned on making?? ), but our curiosity of how their meal would turn out got the best of us, and we welcomed them into our kitchen, a little unsure of what to expect. 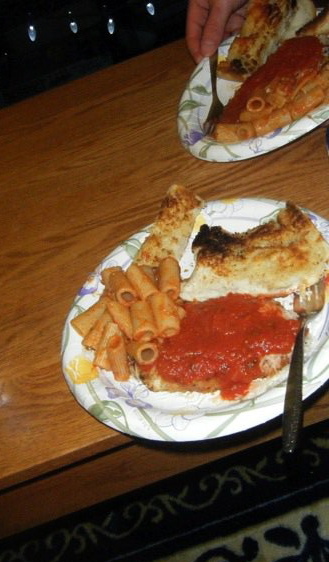 The boy chose to make chicken parmigiana over pasta with a side of garlic bread: a bit challenging, and one of my all-time favorite meals. We were told that the only thing we were responsible for was the wine (check out this article for some great affordable wine choices), and sure enough, the four of them showed up with bags of groceries ready to get their chef on at 7:45 Friday night. The only thing we did all evening was sit back and get started on the wine, occasionally checking on what was happening in the pots and pans on our stovetop and making ooos and ahhs over the delicious aromas. About 40 minutes later we were feasting, and believe it or not, the meal turned out GREAT! The boys did fabulously, and unfortunately for them, we’ve discovered their hidden talents and I have a feeling they won’t get out of making this a regular occasion. The only downside to letting people, in particular a bunch of boys, cook for you? You got it… clean up duty. But that part aside, cooking with friends can be a really fun activity. To spare them their reputation, no pictures were taken of the boys in action. 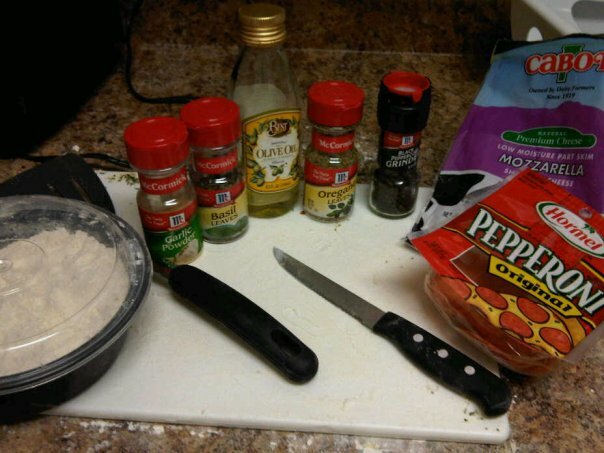 But I did manage to get a picture of the finished product, and below is the recipe the boys used to make the meal. 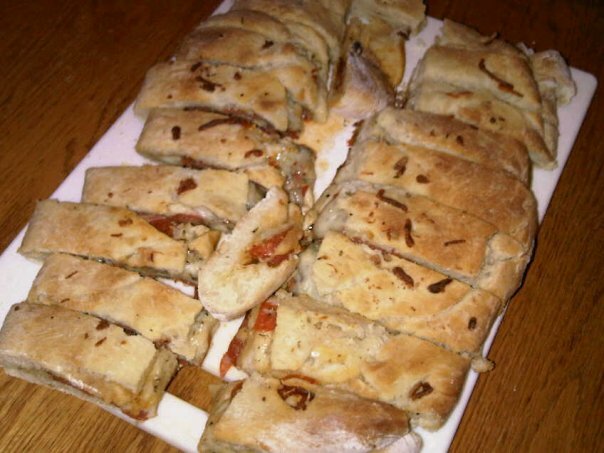 I’ve also included a few links to other good chicken parm recipes, as well as my favorite recipes for garlic bread. Bon appetit! And more importantly, HAVE FUN!